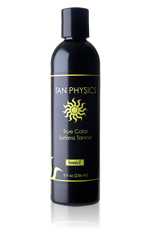 There is no denying a suntan’s amazing ability to hide skin imperfections, diminish the appearance of cellulite, conceal broken blood vessels, spider veins, varicose veins, and wrinkles. In fact, a tan can quickly and easily make you appear 10lbs thinner. TLT Inc. sponsors this website and represents tanphysics.com. Writers are compensated by TLT, Inc.